Ted Warren is an experienced Waldorf teacher who has dedicated his life to discovering effective ways to us Waldorf methods to firmly implant knowledge in the minds of students. 96 pages, 8 1/2″” x 11″, 2015. 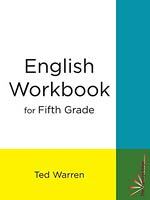 Hello, I was planning on purchasing 12 of these workbooks for my class this year. Can you please let me know the status of the reprint?